Sony introduced Xperia M4 Agua in the Mobile World Congress amidst the heavily-lauded releases of other Android powerhouses. The Japanese tech giant might be on the verge of selling its mobile division, but it doesn’t keep them from introducing new hardware to its legion of followers. 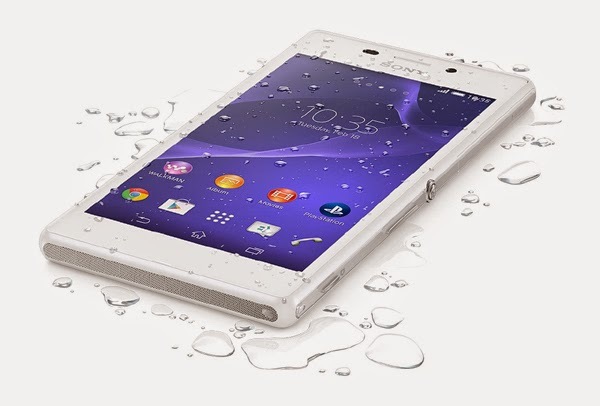 Why buy the Xperia M4 Agua? The handset comes in the same melting pot of its higher-end brethren. The M4 Agua is basically a midrange device but its boasts the waterproofing capability just like the company’s flagship devices. Likewise, the PlayStation-maker also promises the users to this device to have a two-day battery life in a single charge. It’s pretty interesting, right? The phone is IP68-certified, which can tolerate thirty-minutes under 1.5-meter deep fresh water. Specs-wise, the device sports a 5-inch HD display; and runs on a 64-bit octa-core Snapdragon 615 processor (four Cortex A53 cores clocked at 1.5-gigahertz and another set of four A53 cores with 1.0-gigahertz speed). The device packs 2GB of RAM; and comes with the latest Android Lollipop OS on the get-go with Xperia Lounge Silver software. The phone will come with 8GB and 16GB ROM variants; and can be expanded up to 32GB via microSD. It is also equipped with 13MP and 5MP rear and front shooters with a dedicated shutter button. There’s also fast mobile internet thanks to the LTE connectivity and 2400mAh battery to power the device. The Sony Xperia M4 Agua is expected to hit the shelves on April 2015 at a price of €299 (Php14,500) in white, black, coral and silver flavours.